Thought it was time to start a thread about our van, mainly to keep a record of our ownership and what we do along the way. I'd wanted a T4 for a few years and started looking for an ex-AA 2.5tdi as I need the towing capacity. 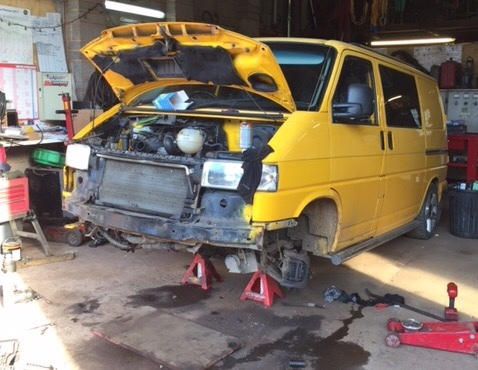 After looking at a few vans we decided on non converted van so we could start a fresh and do things how we wanted. Whilst we want a camper for weekends away, it will also be needed to ferry bikes, have space to carry the odd engine and be used as my daily driver. It turns out that although you may have a big folder of history with a vehicle, it doesn't mean the previous owners haven't bodged the recent timing belt change. I had driven to work in the morning without problem but in the afternoon it was bugger to start, it started eventually and drove home fine, although felt a little underpowered. 10 mins after getting home it cut out and wouldn't start again. just happened to be a T4 nutter and had been working on T4s for years. He checked the timing and it was way out, so he decided to redo the belts and retime and see where we were. 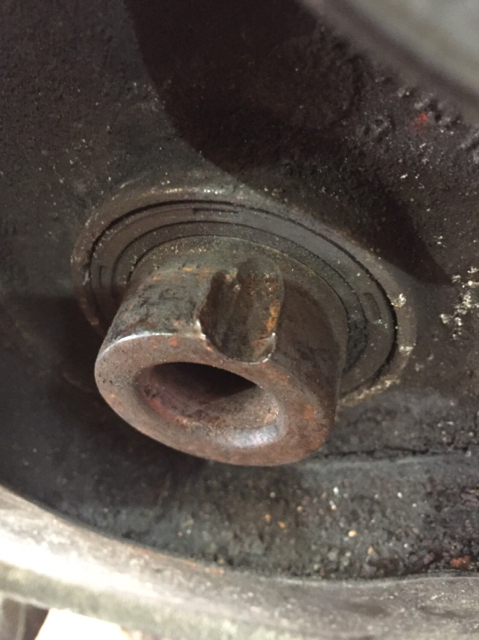 Now, we're not sure if the previous mechanic didn't torque the bottom crank bolt properly or didn't use a new bolt but either way, it did just shy of 5000 miles before the crank pulley nearly fell off. The bolt was only held in by a couple of threads and was easily removed by hand. 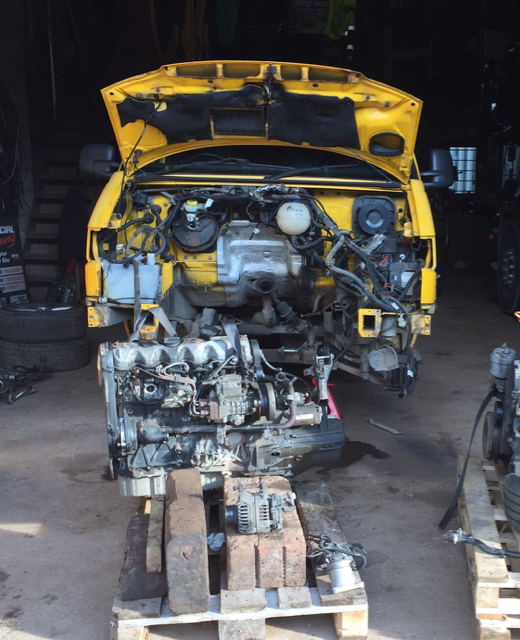 So the decision was made to pull the engine and rebuild. Until about an hour later when a friend of friend came up with a 100k mile Volvo V70 engine. Looks a nice van, sorry to hear about the problems you've had. Keep the updates coming as your conversion progresses. V70 is a good way to go. Especially as you can pick them up cheaper than the cost of a days labour at a garage. I’m looking forward to this! What bhp are you hoping for? Gutted for the dramas you have had buddy. On another note I had no idea you could fit a V70 engine in a T4, is this common? Could be a straight swap. When I worked for a Volvo agent the 740 and 940 diesels were the vdub 5 cylinder. When I went on the course they said if asked don't deny its vdub as its stamped all over the thing. 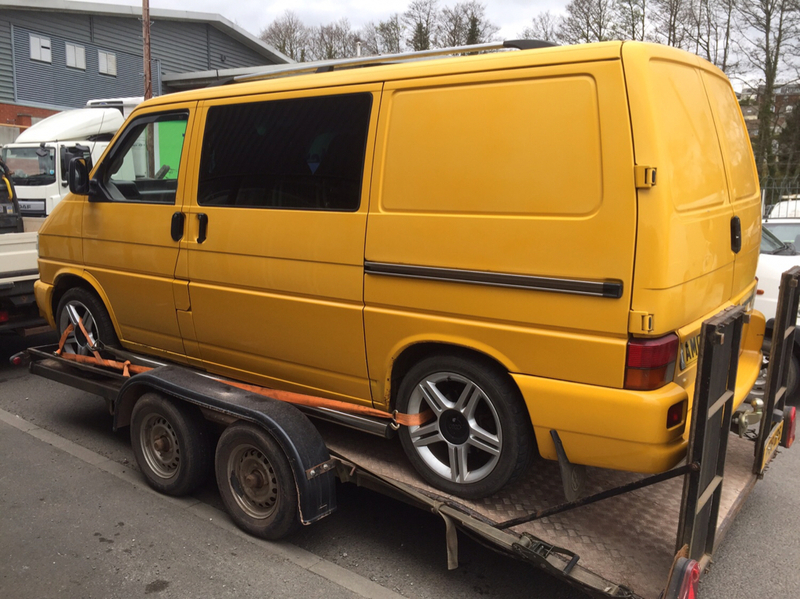 Thanks everyone It was indeed a bit gutting and not a great start to T4 ownership and yes, we spent most of our conversion budget on getting it back on the road but it's given us a solid base to continue with. The V70 block was built by VW for Volvo and is all but the same bar a few little differences - the coolant outlet on the core plug is one cylinder over (just needed to extend the pipe to reach it) and some of the thread sizes in the block are different for various things (sensors mainly). But other than that, just swap the ancillaries and loom over and away you go. 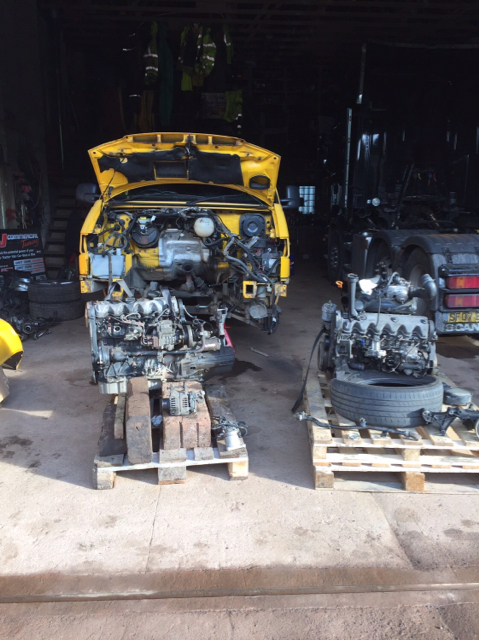 When I looked for a T4 engine, I was seeing prices of £1000+ for unknown mileage engines, I got a complete rear ended 100k mile V70 for less than half that. No brainer really!